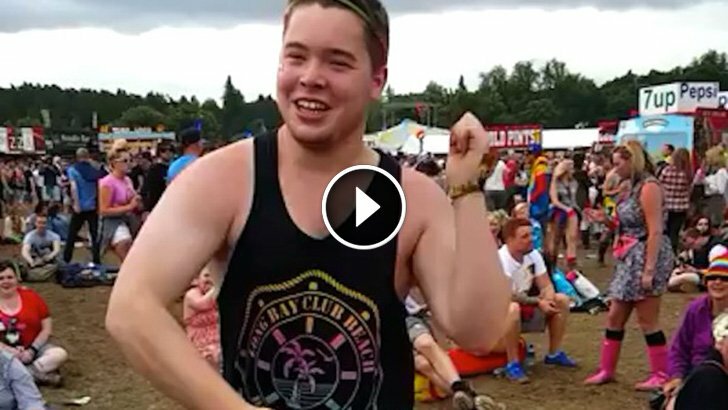 Home » Videos » Dude Dances to “Uptown Funk” Like Nobody is Watching. The Crowd Goes Wild! Have you ever been at a concert and the music took control and you couldn’t help but dance? Fred Rawicz did just that. He was at T in the Park, a major Scottish music festival, when the popular hit by Bruno Mars “Uptown Funk” belted from the speakers. Fred then busted out in a dance and his energetic and charismatic moves were caught on camera for all to see! His friends cheered him on and the crowd couldn’t get enough. Now that’s entertainment! This is one of the best things you’ll see today… definitely brought a smile to my face.